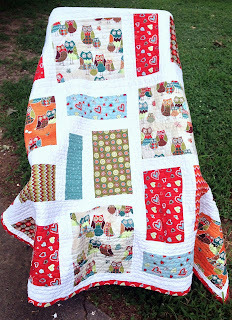 Today is starting with Quilt #3 from the stash by my wife Tanya. She is trying to get rid of some of the back log of flannel we bought on sale before Christmas last year and over the last week and half I have been cutting and she has been sewing. I know that so far there is at least 6 quilts made from them. 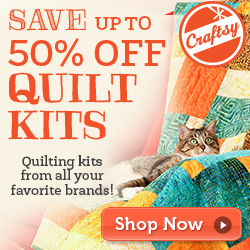 As a last thought, Craftsy Summer Supplies Sale from 7/26-7/28 follow link for great deals on supplies this weekend. It is now time for Link A Finish Friday. Today I would like to start with a big thank you to Fat Quarter Shop who has offered to Sponsor our Link A Finish Friday with Prizes. This month's winner (July) will win a $15 gift certificate to spend at Fat Quarter Shop. Richard, I linked up today with a finish, but I'm also having a Friendly Friday Link Day today. Check out my blog. Thanks Richard and Tanya. Great pics from last week. 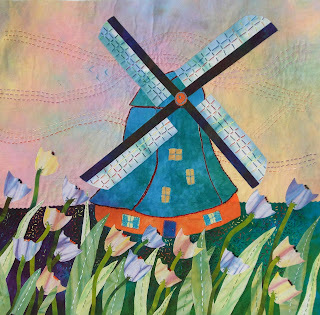 Love to see all the awesome quilting. 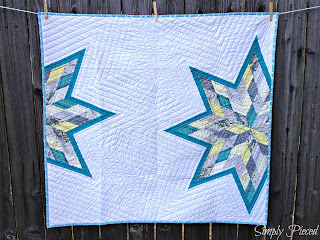 Linking up for the first time today - thanks for the great no-rules rules. Nice to see the cactus quilt again. It's a beauty. A day late, but I got here!